Experience Spring in Spain while savoring Exclusive Complimentary Perks at the Hotel Alfonso XIII when you book your stay across WhataHotel!. 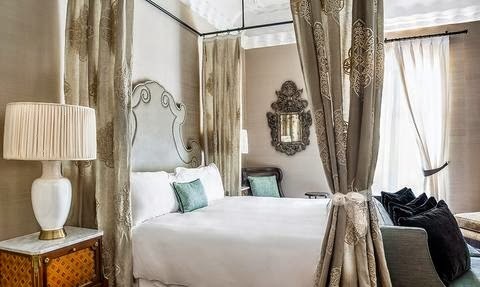 This recently renovated hotel is located in one of the best sections of the city and is convenient to all of the favorite sights. And as an added bonus for a Springtime visit to this beloved town, two weeks after the Easter holiday an enormous party is held citywide. The party features plenty of eating, drinking, dancing, singing, parades and even bullfights. 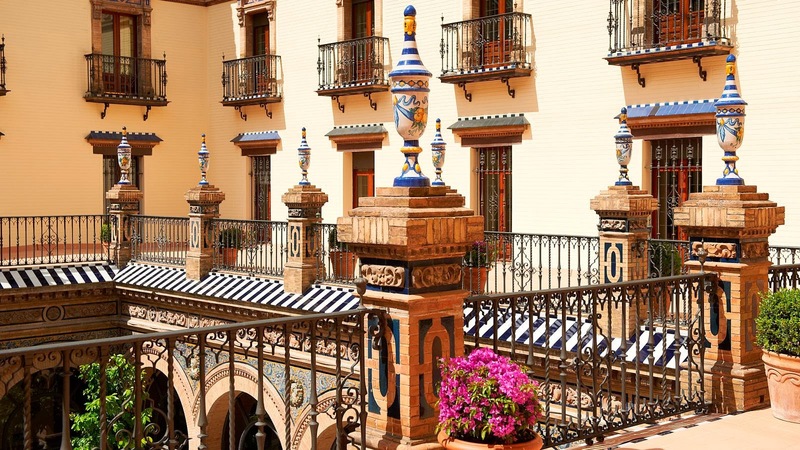 Discover the charming small town of Seville, experience the traditions of the Spanish people and savor the unprecedented luxury found when you stay at the Hotel Alfonso XIII. 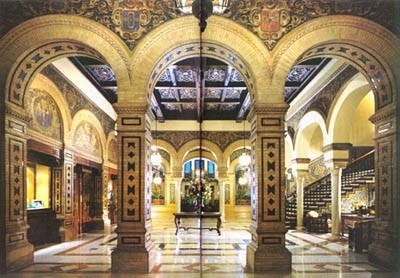 Hotel Alfonso XIII is a stunning hotel that was built using traditional materials but with very modern lines. The hotel is known to instill a relaxed atmosphere as well as a sense of luxury, making it a great venue for weddings, meetings and social gatherings. While the impressive service and staff of Hotel Alfonso XIII secures this hotel as a great place for large events, there are many other features that make it the perfect place for a relaxed getaway. The open-air pool is beautiful and located in the hotel's picturesque orange-scented garden, charming guestrooms with luxurious amenities are decorated with comfort in mind and the quaint terraces that overlook the gardens are tempting spots to take a peak at the pretty city that surrounds the hotel. Guests can visit the San Fernando Restaurant for a scrumptious breakfast, lunch or dinner that feature the flavors of the area. Enjoy a drink at Bar Americano, serving up some of the best cocktails in the city in a relaxed yet elegant setting. 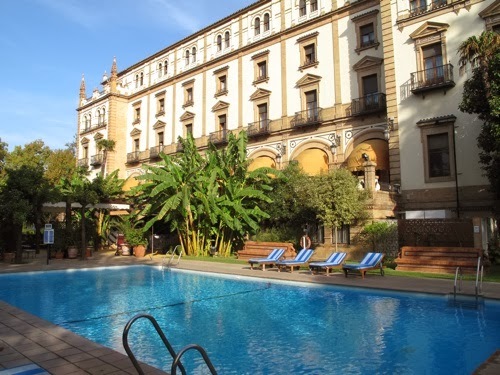 Hotel Alfonso XIII is a phenomenal hotel in an exotic city; travel to Seville, Spain where excitement awaits. This historic and romantic city is filled with artistic, cultural, financial and social characteristics making it one very alluring destination. 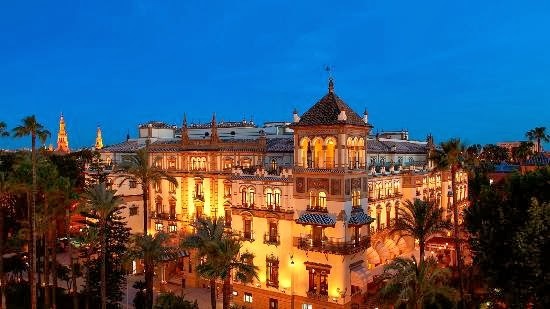 When booking your stay at the Hotel Alfonso XIII in Seville across WhataHotel!, guests will not only enjoy top-notch service and amazing accommodations, but also Exclusive Complimentary Perks. These perks include available upgrades at check-in, a buffet breakfast for 2 daily, a lunch or dinner for two and options for a late check-out. By the banks of the Guadalquivir river, near the famed Santa Cruz quarter, sits the spectacular Hotel Alfonso XIII. Delight in a trip to Seville where unforgettable experiences, alluring people and extraordinary food are awaiting your arrival.